It’s an interesting experience, seeing a place that would be lively in the sunshine abandoned in the rain. 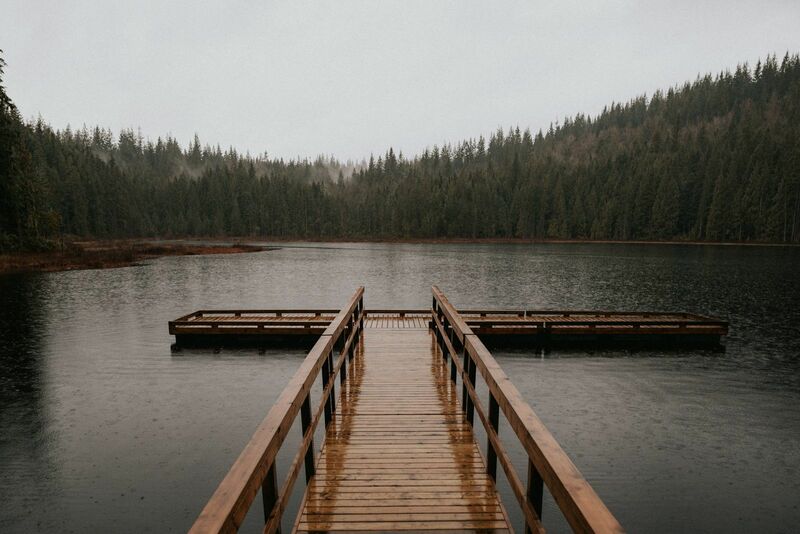 This dock, built in a shape resembling a Cross, extends an invitation for us to stand above the water-- above the element that both refreshes and withers-- and take refuge. Even in the rain, even in the imperfect experience of what the dock was meant for, there is still beauty-- the beauty of imperfection. Golden Ears Park. Maple Ridge, British Columbia.